Old Headington is home to the most extant traditional lighting and probably the greatest collection of Gas Standard Lamps in Oxford adding much to the ambience and setting of the ”village in a city” and perfectly encapsulating its dual identity as a village, yet touched by the urban. Central Oxford can boast of more varied and grandiloquent, yet more modern, traditional lamps – those of St Giles, Broad Street and Magdalen Bridge spring to mind. But, with few exceptions, such as the Radcliffe Camera area, an inserted, yet fine stretch on the Marston – South Parks cycle path, they have the air of stranded survivors huddling up against walls and corners, which indeed they are – fringe dwellers cowed into submission by the glare of modern lighting following decades of brutalist planning policies of which the Queen Street redevelopment and that of the impending St Frideswide’s are particularly noteworthy for insensitivity and short sightedness. perfectly encapsulate the primal importance of light – light is the very first manifestation of God, the opposite of darkness – metaphoric of good versus wickedness and death, the wellspring of life, the chosen from the sinners, heaven and hell. A street lamp is evocative of this duality, the light in the darkness, the campfire of the hunter-gatherers. Headington’s C.S. Lewis, whose Narnia tales were imbued and infused with Christian thought, uses the lamp-post as a beacon from our world to another. “Next moment she found that what was rubbing against her face and hands was no longer soft fur but something hard and rough and even prickly. “Why, it is just like branches of trees!” exclaimed Lucy. And then she saw that there was a light ahead of her; not a few inches away where the back of the wardrobe ought to have been, but a long way off…. It came into Narnia, as we discover in “The Magician’s Nephew,” from a crossbar of a London lamp-post used as a weapon used by The Witch. Bringing evil into Narnia at the very moment of its creation by the lion, Aslan, she flings it at his head with murderous intent. Yet he turns the weapon, in an apparent act of redemption, into a new, living lamp-post with an eternal flame. Does she guard the entrance to Narnia with Lantern Waste just beyond? Narnia’s lamp-post clearly resonates in a fundamental way in our psyches as attested by profuse discussion, images and references out of all proportion to its minor role in the Narnia tales. 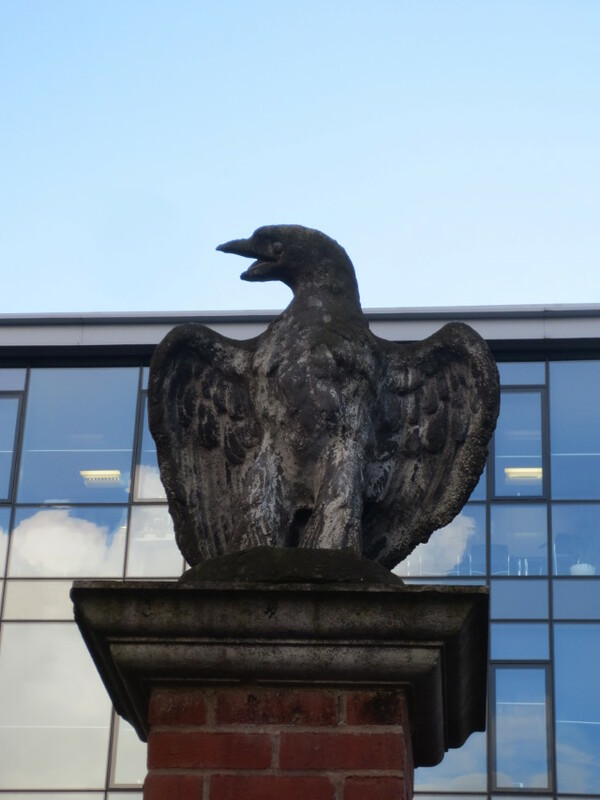 Those of W. Lucy And Co. of Jericho were founded in the mighty Eagle Works, once one of the largest industrial plants in Oxford – where the Head Office of the now global group still remains. When Did They Come To Headington? Only very few lamp-posts are found in early photographs, possibly as street lighting was originally used mainly as way-posts on important junctions. The Old Headington Conservation Area Appraisal states they “were installed in the 1970s as they were removed from other areas of the city.” (Lloyd-Sweet 2011, p.31) although records of the Oxfordshire Street Lighting Team suggest mostly later dates in the 1980s(see Appendix) which explains both the higgledy-piggledy jumble of types and identity of design to those sisters still surviving in the city. Old Headington is particularly fortunate that Bury Knowle Park, (public park in 1932) and modern infill estates such as William Orchard Close (1967) Laurel Farm Close (1974), and North Place (1986) have Lucy’s installed, the latter suggested by the Friends of Old Headington during the planning process. Where Are They In Old Headington? The map of the Conservation Area YELLOW shows areas in GREEN where Lucy’s and “Victorian” lamp-posts predominate, PURPLE shows where ordinary lamp-posts are painted black with lantern heads, and RED where lamp-posts are ordinary street lamp-posts with downlights, and BLUE indicates currently unlit areas that could be transformed by traditional lighting. 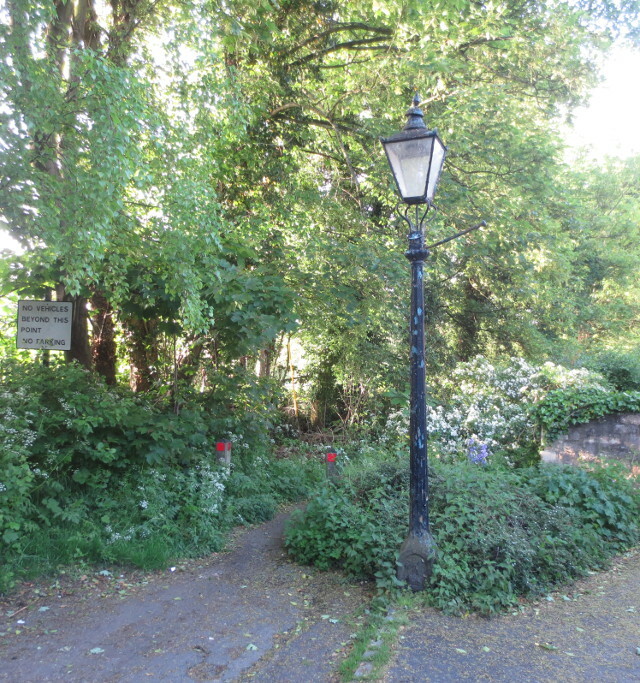 Other similar lamp-posts can be found in Barton Lane past the Blackboy pub and one in The Croft. Painting black and replacing the downlights with lantern heads on the modern street lamp-posts in Osler Road and along Cuckoo Lane to Woodlands Road, or even in front of the Manor House at the JR would achieve much for little expenditure. The relationship between brightly lit highways and safety is parlous at best, yet widely assumed. Cuckoo Lane is the historic traditional way from Headington to Oxford running from near the North Place/Old High Street junction to Pullen’s Lane but, dissected with roads, beset by corrugated iron, steel railing and graffiti, inflicted with ordinary lighting, and its wildflowers wiped out by ill-timed Council mowers, it is badly degraded. Painting as above of existing lamps, and reproduction traditional lamp-posts, sensitively placed along its entire length would give it a lost unity and character long years of neglect and history have eroded. Bury Knowle Park (see BLUE) is currently in the dark except for the area immediately near the library, the depot development and others mean this is becoming a pressing issue. 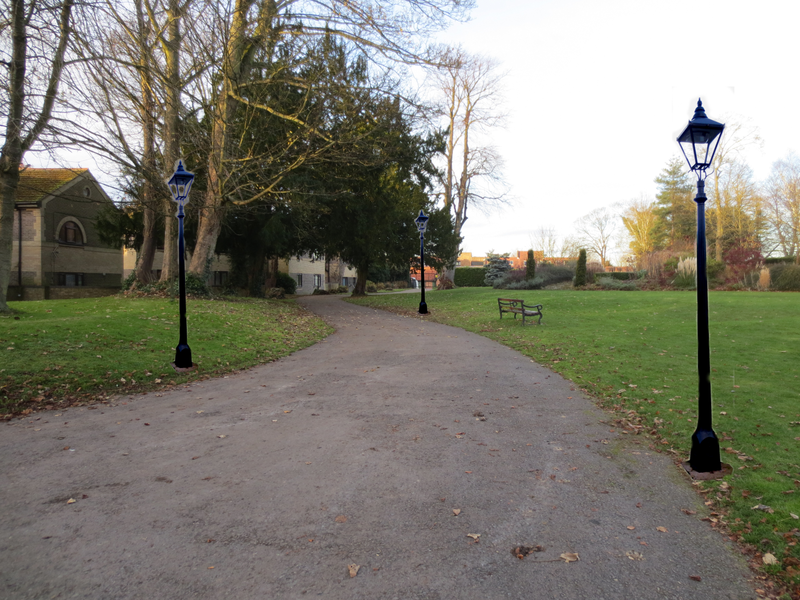 If, and only if, lighting proves necessary, clearly reproduction lamp-posts could be used. The Lucys’ presence in the OHCA presents something of a conundrum – common sense dictates they represent an enhancement, logic there is something inherently faux about inserting an essentially Victorian urban feature into a rural village in the late twentieth century, in effect creating a history that never was. Kinder perhaps is the view that they perfectly encapsulate the duality of Old Headington as a village in a city. In the core of the village, the Lucy sisterhood and Victorian cousins (possibly Lucy’s) yet stand proud protecting our identity, in particular conferring a tranquil ambience in the walkways of The Croft. Yet recent insertions of modern lighting in Osler Road and the requirements of Bury Knowle and elsewhere represent both an opportunity to enhance our identity, or a threat to diminish it. 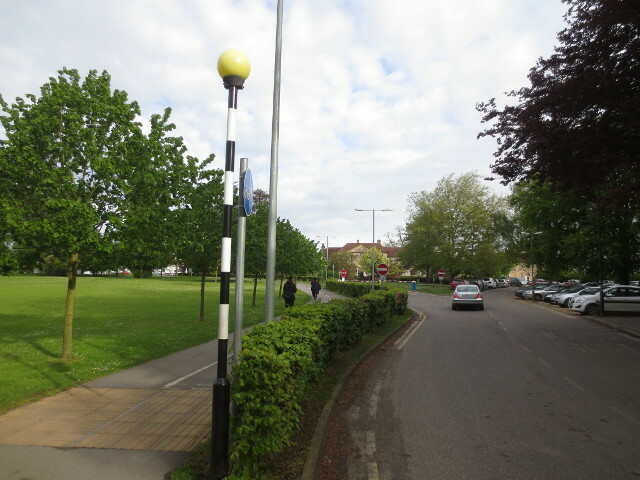 Regrettably, Headington’s lamp-posts, unlike Narnia’s, do not simply grow by themselves, and divine intervention, although welcome, would appear unlikely in this form. We, the community, need to ask the Councils to make a commitment to only install Lucy’s, or close reproductions in the OHCA, articulate a strategy in the emerging Headington Plan and obtain funding, perhaps even from Lucy & Co itself before further modern lighting is installed. Our loveable Lucy lamp-posts bathe us in their mellow light and ambience, conferring a tiny touch of Narnia to Old Headington, saying where we are and what we are. Our response to these lighting challenges in the OHCA will define who we are – let’s protect our Lucy’s as they protect us. PS: Isn’t it a little odd three of the Lucy’s only have one ladder bar? Hmmm…. Any further information, particularly concerning lamp-post identification and how they came to the OHCA would be gratefully received. [ii] Lucy was C.S. Lewis’s grand-daughter to whom “The Lion, The Witch and The Wardrobe” was dedicated, and not the more imaginative reader may speculate, to lamp-post manufacturing company! [iii] Very probably electrical lamps by 1914, although gas persisted for contractual reasons well past its economic life. [iv] The insertion dates may not be accurate – this is a direct statement from the Street Lighting Team at Oxfordshire County Council – Possibly due to computisation? It is a minor discrepancy and story that would benefit from further research – late breaking, and more confusing, is Lady Berlin’s comment before the lamps had even arrived in the OHCA, perhaps gas to electric conversion accompanied the move the Headington? Please visit the rest of this site to see the Medieval Murals of St Andrew’s, C18 Century Headington by Malchair, Oxford’s Flood History, and much more. 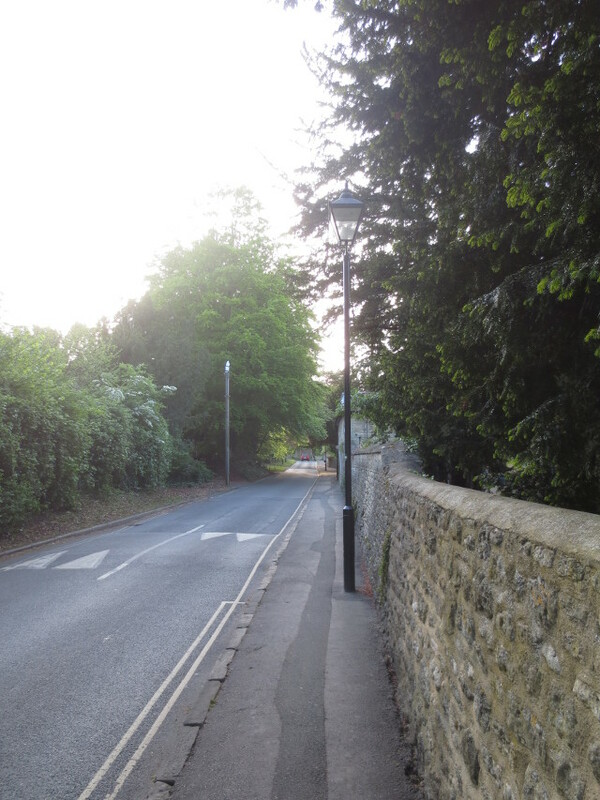 Thanks to the Street lighting Team of Oxfordshire County Council for providing lamp-post records and answering questions where possible, the Heritage Team of Oxford City Council in particular for access to the Warburton dissertation below. Thanks in particular to Linda of Lucy and Co for access and help to view the Lucy archives, and apologies for once calling her “Lucy,” it is easy to become obsessional! and for general background research. Very regrettably, once again I am unable to reproduce images held by the Oxford Heritage Centre due to prohibitive and self-defeating licencing costs – a community should not pay for its own memories, heritage should be promoted not preserved. BECKLEY, R. and RADFORD, D., 2011. OXFORD ARCHAEOLOGICAL RESOURCE ASSESSMENT 2011 – THE MODERN PERIOD (1800-1950). Oxford: Oxford City Council. CHANCE, E., COLVIN, C., COOPER, J., DAY, C. and ET AL, 1979. Modern Oxford. Victoria County History Oxford. British History Online, pp. 181–279. LEWIS, C.S., 1994. The lion, the witch and the wardrobe. 1st Harper Trophy ed.. edn. New York: New York : HarperTrophy. LEWIS, C.S. (., 1967. The magician’s nephew. Longmans, Green: Longmans, Green. LLOYD-SWEET, R., 2011. 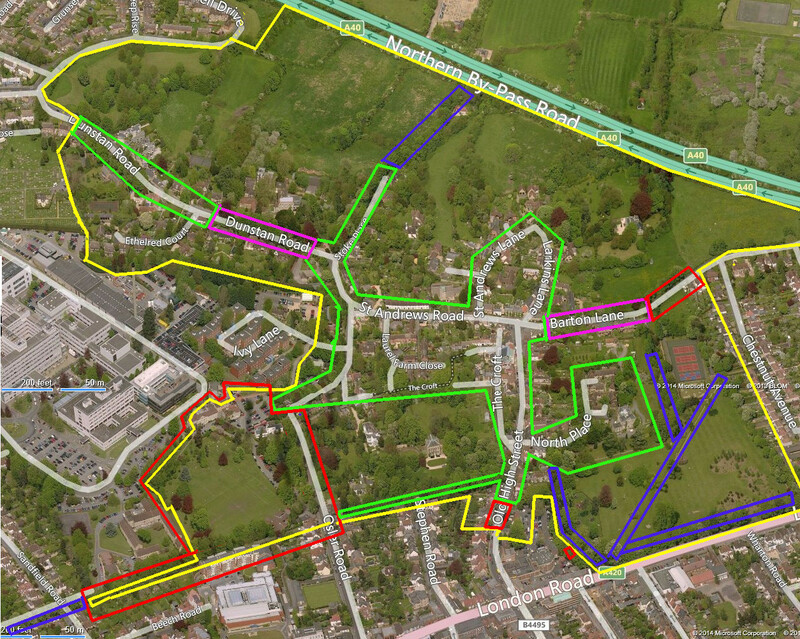 Old Headington Conservation Area Appraisal. Oxford: Oxford City Council. LUCY & CO., W., Unknown. Handbook of electrical ironwork. Oxford: Oxford W. Lucy & Co.
LUCY & CO., W., 1966. W.Lucy & Co. Ltd at Work – Drawings and photographs of the Eagle Ironworks, Oxford 1966. Jericho: W.Lucy. TAYLOR, L. and TAYLOR, G., 1978. Within Living Memory – Recollections of Old Headington, Oxford. Oxford: The Friends of Old Headington. WARBURTON, K., 2003. A history and interpretation of W Lucy and Co Ltd, Eagle Iron Works, Oxford. M.A. edn. Birmingham: Birmingham University. The following is from the Street Lighting Team records at Oxfordshire County Council, ordered by insertion date. I do not however, blog anonymously, if you wish to contact me please email, I will be happy to reply.